ManageEngine ServiceDesk Plus is a web-based Help Desk and Asset Management Software. It offers an integrated package with Incident management (Trouble Ticketing), Asset Tracking, Purchasing, Contract Management, Self-Service Portal and Knowledge Base. 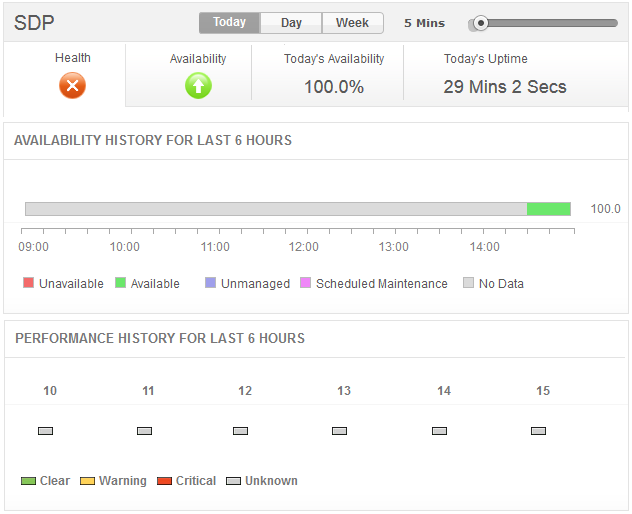 It provides great visibility and central control in dealing with IT issues to ensure that businesses suffer no downtime. Applications Manager provides you with critical information essential to track the performance of ServiceDesk Plus. You can monitor ServiceDesk Plus software metrics (like CPU and memory usage, thread count, mail fetch and database details) and make decisions on how to scale the application's capacity (based on memory utilization and cpu usage). Applications Manager, through regular monitoring (as per the configured schedules), checks for performance issues and finds out their root cause. Monitor the active status of the mail fetching in ManageEngine ServiceDesk Plus. Get insights into the status of the configured backup scheduling, to make sure backups are performed of all the files on regular intervals. 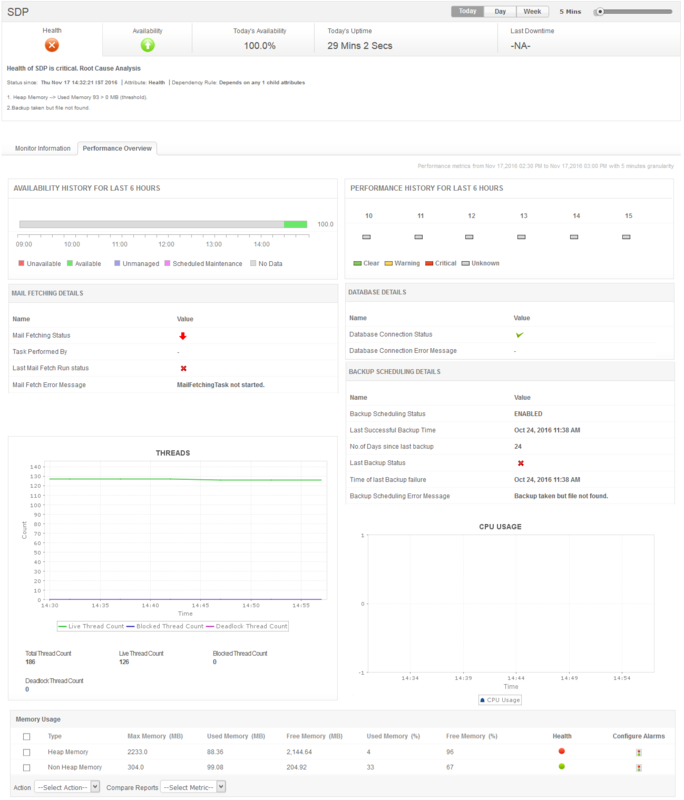 You are presented with "a clear picture of performance issues" which enables the application user to provide administrators with the exact log details required for effectively tackling application slowdowns. Get instant notifications when there are performance issues. Become aware of performance bottlenecks and take quick remedial actions before your end users experience issues.